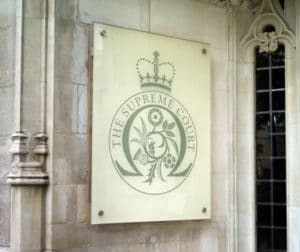 The Supreme Court has refused to hear an appeal against a decision that cleared two solicitors of “dishonest assistance in a breach of trust”, in this case a mortgage fraud. In its decision, the Court of Appeal had warned that findings of dishonesty, especially against solicitors, should not be made without “the most careful consideration” of what they say in their defence. Refusing permission to appeal the judgment in Clydesdale Bank plc v John Workman and others  EWCA Civ 73, the Supreme Court said that the application did not raise an arguable point of law. In February, the Court of Appeal overturned a High Court decision that went against partner Simon Denslow and associate John Murphy, both working at the time at commercial firm Cobbetts, which no longer exists, and then at Shoosmiths. Neither works there now. “If they had simply decided that they had to follow their client’s instructions willy-nilly, that might be sufficient to found a conclusion that they were reckless,” Lewison LJ said. “But their evidence was not that their client’s instructions trumped the bank’s charge: it was that the Hayward charge [the first charge] trumped the bank’s charge.